Orcas - also known as killer whales - are considered the largest of the dolphin species and tops the list as one of the world's most powerful predators. 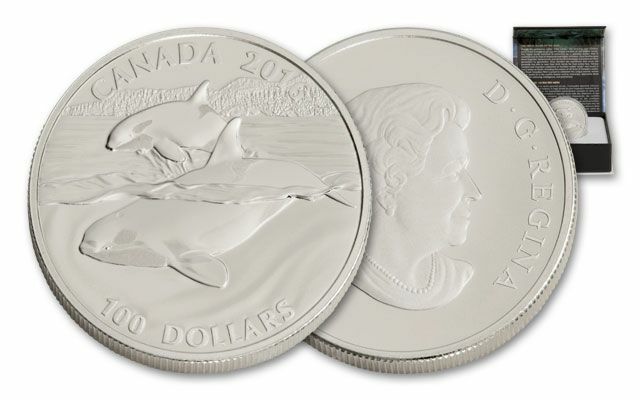 This 2016 Orca Whale Matte Proof is the next release in the Royal Canadian Mint's $100 coin series. 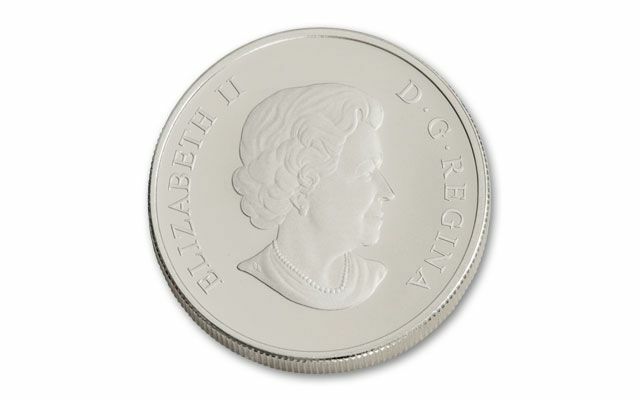 Each legal-tender coin is struck in one ounce of 99.99% fine silver and exhibits a matte finish. 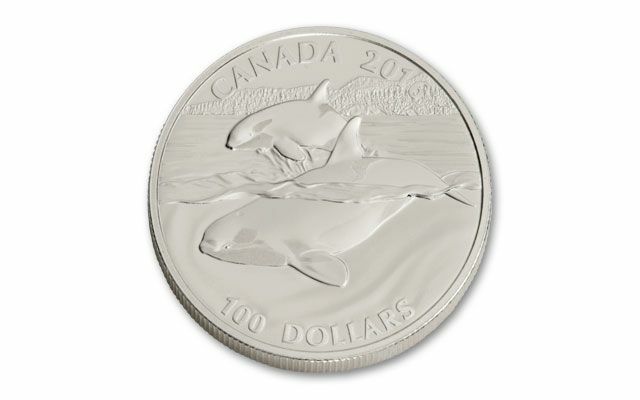 The reverse features two orcas swimming off the coast of British Columbia. 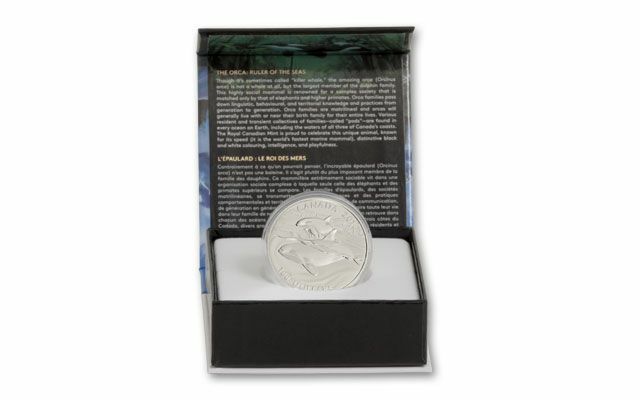 The mintage of this leaping and diving duo is limited to only 50,000. Call before our vault runs dry!